Can the Newest Da Vinci Robot Smash Cost Barriers? 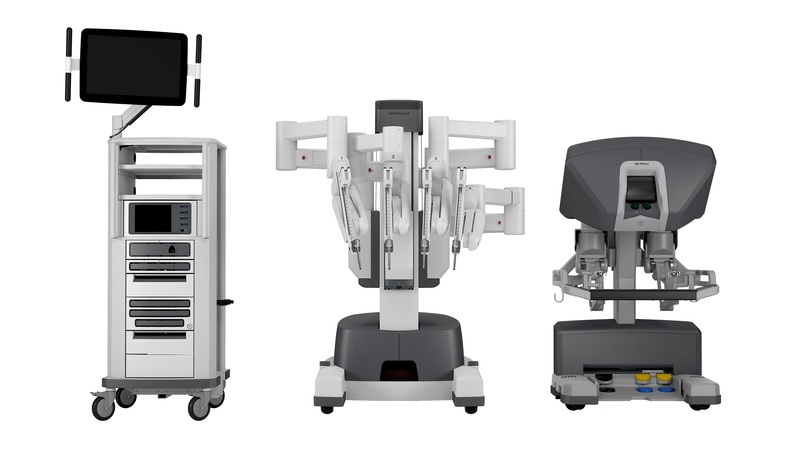 The newest addition to Intuitive Surgical's da Vinci family provides a lower-priced surgical robot with the option to upgrade to more advanced features as needed. The new da Vinci X could address a major adoption barrier in robotic surgery by offering a lower-cost system that customers can upgrade as their needs grow. Intuitive Surgical added a new robot to its da Vinci family, reinforcing the company's dominance in a space that is expected to see some competitive disruption within the next couple of years. FDA clearance of the da Vinci X comes about a month after the system received a CE mark, and the Sunnyvale, CA-based company said the new robot will be offered at a lower price point compared to some of the other da Vinci systems. Intuitive said it will launch da Vinci X to the US. market later this year. Get up to speed on the latest trends in product design and development at the MD&M East conference and expo, June 13-15, 2017, in New York City. Cost has been a major adoption barrier for robotic surgery but Intuitive and other companies fighting for a piece of this market have been making significant efforts in recent years to improve the value proposition of the technology. Analysts have struggled to assess the adoption rate and peak penetration of newer surgical robots, but some surgical specialties - like orthopedics, for example - appear more enthusiastic about the technology than others. While the da Vinci X is expected to provide some of the features of the company's more advanced da Vinci Xi system, but at a lower cost, the international opportunity for the new robot is expected to be greater than the U.S. opportunity because international markets tend to be more price sensitive, according to Wells Fargo's Larry Biegelsen. The analyst's report, issued Tuesday, suggests that the has been a higher degree of interest in the da Vinci Xi in international markets compared to the U.S. market, but in some cases, the price of the Xi is too high. According to Biegelsen, Intuitive has indicated that the price of the da Vinci X in Europe is EUR1.3 million with the first year of service included, which represents a value of about EUR130,000. That implies a list price of EUR1.187 million for da Vinci X compared to the Xi list price of EUR1.85, making the new system about EUR530K less than the da Vinci Xi, adjusting for the service fee, Biegelsen said. In terms of features, the newest da Vinci robot appears to strike a balance between the da Vinci Xi, which is Intuitive's most advanced system, and the Si, which is the company's lowest cost platform. "From a physical standpoint, the X is taking the Si patient cart and replacing the Si arms with the more advanced Xi arms, and adding the Xi operating system and Xi features," Biegelsen noted in his report. "This gives the X the ability to use the same instrument set and imaging technology and ease-of-use features that are found on the Xi system." He added that the da Vinci X does not have the Xi's multi-quadrant access with the boom architecture and table motion. "Customers around the globe have different needs from a clinical, cost, and technology perspective," said Gary Guthart, CEO of Intuitive Surgical. "Intuitive's goal is to meet those needs by providing a range of products and solutions. The da Vinci X system helps us to continue to do so." Because the new system uses the same vision cart and surgeon console as the da Vinci Xi system, customers who buy the less expensive da Vinci X will have the option of adding advanced capabilities, or upgrading the system down the road if their practice and needs grow. "The da Vinci X system is a value-oriented option for hospitals that are just starting their robotic-assisted surgical program, and for our existing customers who want to expand their existing robotics programs," said Henry Charlton, senior vice president of U.S. sales for Intutitive. "As customers' needs grow, the da Vinci X system can grow with them." Intuitive will likely continue to hold a monopoly in the field of robotic surgery, but the company is expected to face significant competition in the next couple of years. Medtronic plans to launch a robotic system in various international markets by April 2018, and in the United States sometime in the first half of 2019. According to Canaccord Genuity's Jason Mills, Medtronic is likely to be Intuitive's first major competitor. "Medtronic has the ability to directly leverage its existing open and laparoscopic product portfolio, incorporating these technologies alongside its robotic platform into a full sales bag, carried by reps with deep, long-standing relationships in several surgical fields," Mills wrote in a report issued Tuesday in which he boldly downgraded his recommendation from "buy" to "hold." Mills said he expects Medtronic to try to provide a better value proposition compared to existing robotic surgical technology. As for Intuitive, the analyst acknowledged that the company had a "phenomenal year" in 2016 and that he expects Intuitive to deliver solid results again this year and in 2018. "On the flip side, however, investors' exuberance about the company's strong performance over the past few years has driven the stock to unprecedented valuation levels," Mills noted. For quite a while, Transenterix was posed to become a good David vs. Goliath story with its SurgiBot system. But the company got the wind knocked out of it last year when FDA decided its SurgiBot robotic system needed a new 510(k) application because the SurgiBot was not substantially equivilant to a predicate device. Since then, Transenterix has shifted its attention to a second surgical robot, the Senhance system, which is currently one of the most anticipated devices of the year. Amanda Pedersen is Qmed's news editor. Contact her at [email protected].